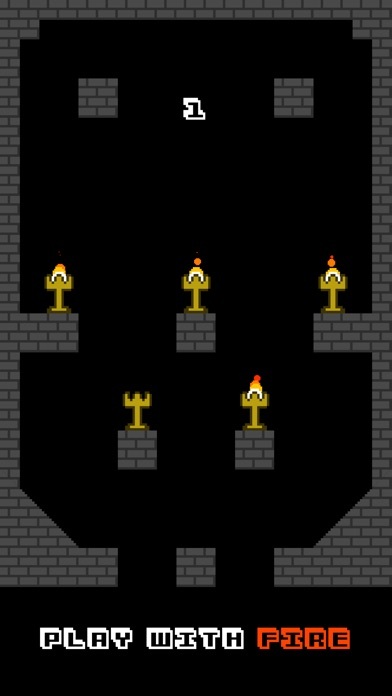 This week I released an extremely small minimum viable product game called Pyro Mania based on the Flash games I designed many years ago. The game is mostly a test of AdMob for me right now, and is currently only out on iOS. I plan to update it with new features, levels, and an Android version at some point in the future. I've had some issues with crashing during interstitial advertisements (will seem like it crashed when you lost a level). If anyone experiences this or has had this problem with a Stencyl game, please reach out so I can try and figure out the problem and get it solved. Right now I'm just assuming that there are some types of ads that are causing problems, and I have no idea how to disable those ads. Thanks for checking it out, this game was built over the course of 8 or 9 days, so it's pretty simple, but I like it. Congrats on another great game! It really brings a lot of energy and enthusiasm to the platform! Hi all! I've been working on a Stencyl-fueled game throughout the year that I'm finally ready to make a thread about. The game is called Human Puzzlepede and it's partially a throwback to Dr. Mario, Tetris, and other 8-bit puzzlers, but it's also a lot more than that. Puzzlepede blends together the time-step puzzle (blocks falling in steps) with physics objects that behave outside of the time step. This obviously was not possible on the NES and as such I think that Human Puzzlepede is one of the first of it's kind to combine a robust physics engine with a "falling block" style puzzle game. In addition to that, it has a media-attention-seeking name and it's kind of an auto-biography of the inner workings of my mind. I hope everyone will enjoy it when it comes out, but for now I'll be posting GIFs and updates until it's finally ready for prime time. This is intended to be a professional product as the flagship title of my newly founded game company that will (hopefully) earn us some money, so I'm happy to talk about that if anyone is curious! PS I'll be posting updates here but for older incarnations of the game, see my toucharcade thread! Chit-Chat / Re: How do you keep your ideas...safe? The process for protecting intellectual property for indies is quite different than for larger companies. Generally speaking, the indie method is to "make something other people can't make" because its something so unique to your skill set that it will be hard to clone. However, lets say you made a hit social game and some company called Blynga came along and cloned it and made 2 billion dollars. Your ability to fight them would be very limited just because of your access to money and their access to money. Add to it the uncertainty that the court will side with your idea being illegally used, and the truth is that you will never fight them over it anyway. In fact the only people you MIGHT fight would be other indies who ripped you off, but even then, they'd have to pull some sort of Minecraft magic off with your idea to make the battle worth fighting. Update: Damijin is dumb. He had multiple stencyl install directories and was looking at his old one. Thank you for putting up with his forum spam. I remember seeing my tilesheet as a png in the resources folder back in the day, but it doesnt SEEM to work like that now? Theres still a sheet in there but its outdated and when I edit it, it doesnt edit my tiles in game. I am doing a full re-color of Balls in Space 2 (should be out next month), but if theres an easier way to edit all my tiles at one time, it would save me like a quadrillion minutes of painting each tile by hand. So... does that exist? Can I make it exist? Bring back the ninja-ball powerup . Ideally this game will have 3 powerups. Ninja will still be there. Another is going to be a bomb powerup, you'll change color and turn into a little bomb guy. You don't actually explode, but your projectiles will change from bouncy white balls to sticky exploding balls. They will be able to break brick tiles and might be necessary for certain enemies. The third powerup, which may or not make it into the game is still to be determined. I must confess that I never played more than a couple levels of the original, but I like what you have going so far. I promise I will play this one when it comes out! I don't expect anyone to play any more of my games than I play of other flash games. Which is typically somewhere beneath the 5 minute mark. This one is a lot about getting my feet wet again. I learned a lot about polish at Gameloft, so I want to polish up something that I already understand. Oh and this. Much better title screen than last time, having animation on your menus (like dudes walking around) is a great way to give off a feeling of polish. One of the practices I was forced to adhere to at GL was that every screen must have SOMETHING animated on it. It should never be fully static. I think that's a great policy. I've been working on this for the past couple of weeks. The source for the original game was lost, but I think it was sloppy anyway, so I started over from scratch to the sequel. I don't have anything playable yet, but stay tuned toward the end of this week. Tribes Spinfusor, because when the game came out back in the late 90s, it was plausible to think that it was a weapon created from a need to dispose of those AOL free trial disks that were spammed to every American household for 5 years. Chit-Chat / Re: Equivalent of shorts for games? I think flash games in general are the game industry equivalent of shorts -- while triple-A games are our features, and social/mobile/casual games are sort of like "animation for TV". Soon I will show as well as tell!